The personal transport market is mainly aimed at commuters but there´s always some people who just want more. More power, more speed, more extreme. 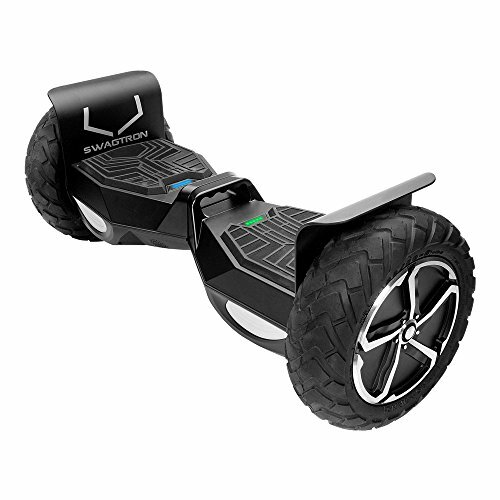 The Swagtron T6 promises to be the product for those who want more. 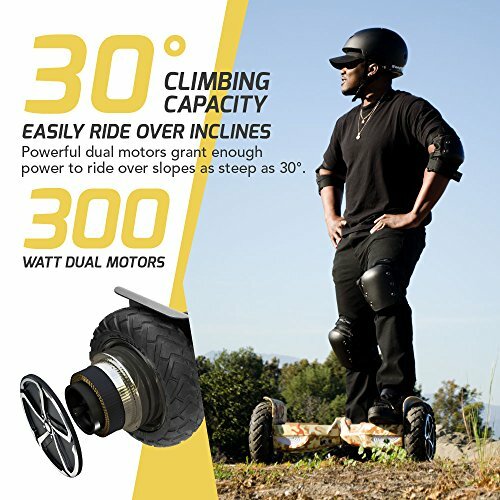 It´s an off-road hover-board designed for dirt trails, beaches or hiking paths. Today, we´re going to take an in-depth look at the performance capabilities of the T6 to see if it´s up to scratch. 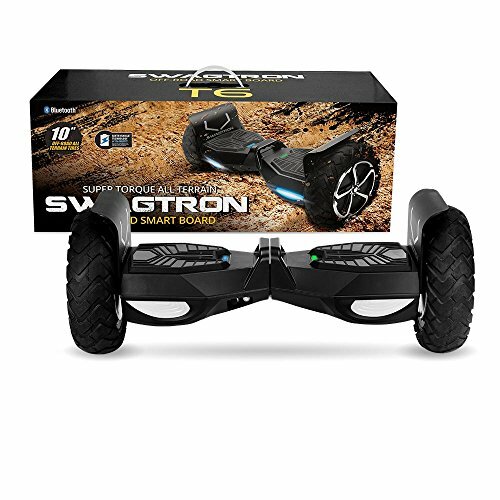 Out of the box, the Swagtron T6 is a bulky unit. It weighs a hefty 32llbs which is nearly a third more than most hover-boards. The reason for that is the huge 10” off-road tires with heavy duty trail grips. Inside duel 300W motors are powered by a Lithium core battery. This unit is powerful and we´ll get into the performance later on. For now, the most impressive aspect of the T6 is its weight capacity. 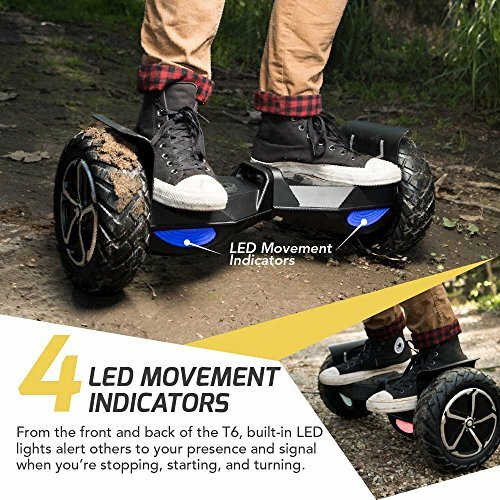 This hoverboard is capable of carrying 380llb riders. In that respect, it´s one of a kind in the hover-board industry. The overall output of this model, is 600W. That provides enough torque to handle 30 degree inclines with a maximum speed on flat of 12mph. This is marketed as an all terrain vehicle but there are one or two performance issues that make off-road riding a struggle. The first one is the battery. 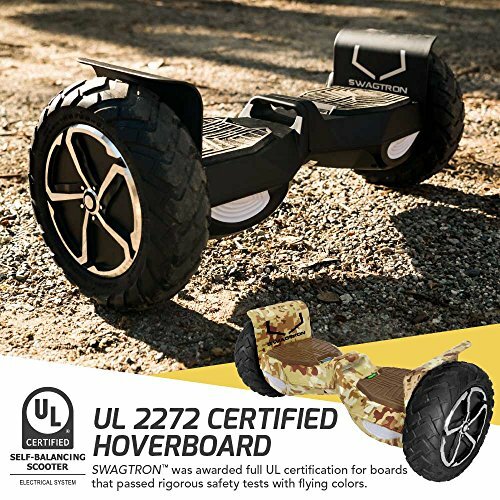 Once the battery gets lower the overall stability really suffers and the board threatens to buck you off. The steering sensitive is very high on even the lower rider experience settings and that takes some getting used to. The stability is also effected in the upper speed limit, and feels a bit wobbly. With time, you can balance it out, but the initial learning curve is steep. 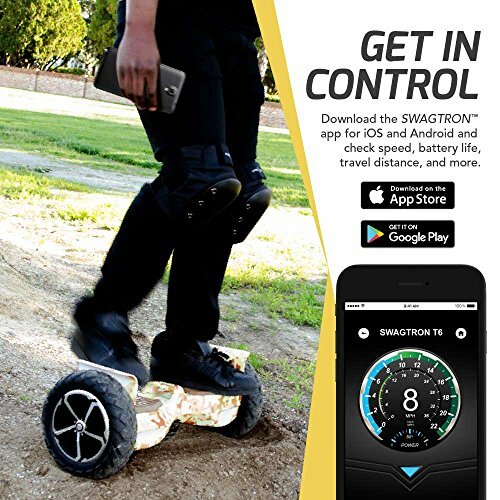 The team at Swagtron have tried to help with steering and control by providing a range of settings that can be adapted according to the users´ experience. This is controlled via an app which adjusts steering sensitivity alongside power limiters for the engines. It´s a nice touch but it doesn´t change the fact that it´s difficult to tame this beast. 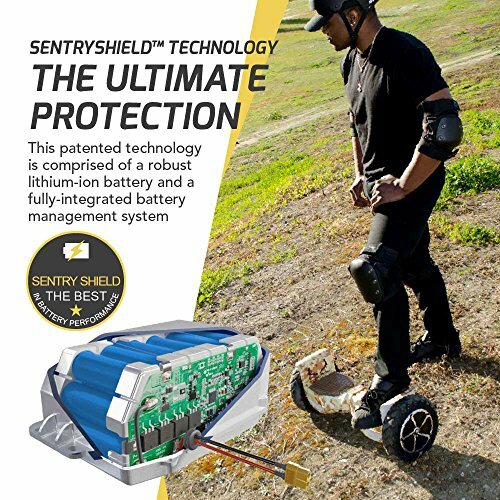 The build quality in this unit is among the best I´ve seen on a self-balancing scooter. 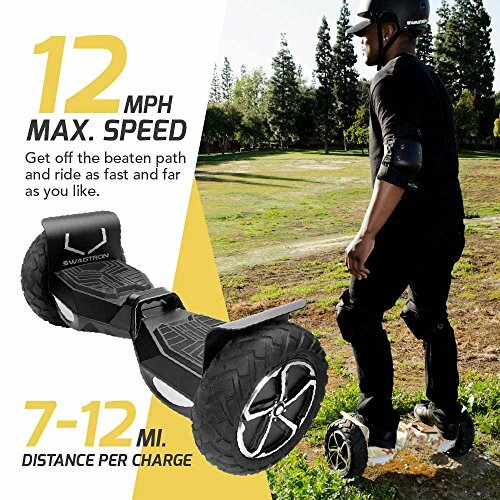 The chasis is sturdy, the performance is good and you get a 12 mile battery life. Swag are very helpful should a product arrive faulty and will provide an instant replacement in most cases. Air-filled tires may be tricky to inflate but they´re a god-send when you´re travelling over unforgiving terrain. It´s a feature I´d like to see on more personal transport devices in future. Finally, the T-6 is UL22772 certified which means its passed a stringent quality test and there are no safety issues in its manufacture. Additional features I like are the in-built speakers that let you blare out AC/DC as you fly through puddles and down sand-dunes. It takes about 2-3 hours to recharge after each use, and has a five phase battery meter. Given the weight, you really don´t want to be caught without a charge as its a struggle to carry. It´s not a cheap device by any means but it is a top performer in the market place. There can be no complaints about either the build quality or the performance of the T-6. It´s a market leader on both fronts. The problem comes with the controls which are hyper sensitive. Given the high performance it can be quite dangerous if you´re not used to it. 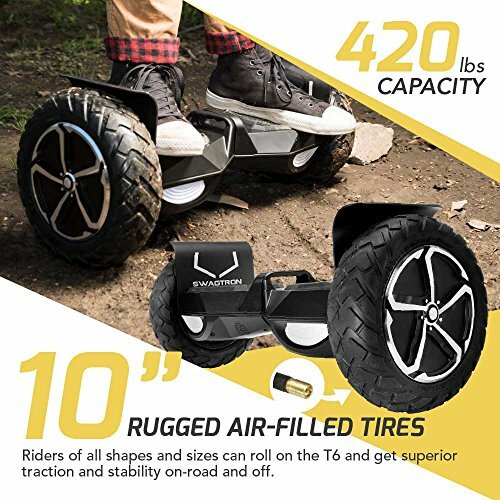 Air-filled tires alongside the in-built speakers really make this product stand out in a saturated market. If you have the money, it´s a great value purchase.